Smileography is a company and emerging dental imaging technology, which acts as a tool for dental professionals. Smileography allows patients to view personalized and potential realistic results to improve the cosmetic appearance of their smiles. By viewing the full potential, or the case presentations, a patient visualizes the end result of the product, thereby increasing the likelihood of moving forward with the cosmetic procedures. For more information pertaining to Smileography as an available technology and tool, please follow the link to the official site by clicking HERE. Smileography begins with a consultation, where a customer conveys the desire for a brighter, whiter, straighter, more perfect smile. By using professional photography equipmentand high-resolution images, the trained dentist takes pictures of patients for their viewing necessity. Using Smileography technology, dentists then makes appropriate changes, including softening a patient’s features, to represent the ultimate outcome from installing veneers. A patient can customize their smile, accurately, prior to having dental work completed. By minimizing an individual’s perceived imperfections including blemishes and signs of aging such as wrinkles and age spots, patients may focus on the possible improvements of a more perfect smile. Smileography members train professional dentists and staff members with photography equipment and techniques to best serve potential and existing patients. Clients are often satisfied with the results and request another “result photo” to bookend their experience and results with Smileography. 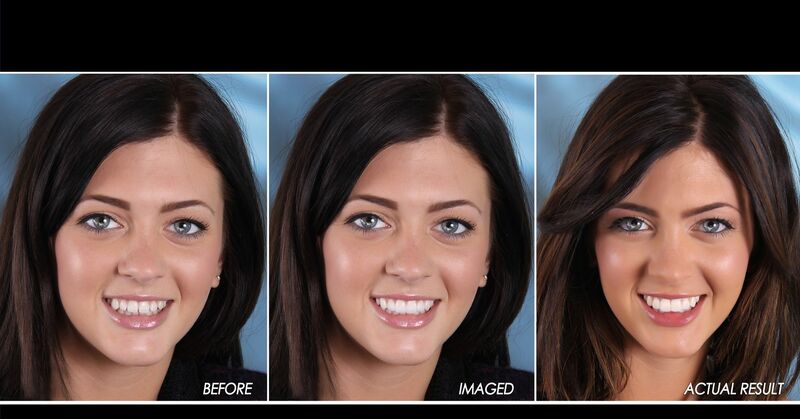 Smileography dramatically increases case acceptance rates for cosmetic procedures like teeth whitening and veneers. Dentists use Smilepgraphy around the world in countries including Brazil, France, and the United States. Smileography can be found in local Southern California’s Studio City in the heart of Los Angeles with Dr. Alexander Ash at Studio Dental Care. Dr. Ash offers cosmetic dental services, including professional teeth whitening and veneers. By using Smileography in office, Dr. Ash offers a full service by using digital imagery to portray potential results. But Dr. Ash achieves actual results as well. For more information or to view the gallery of Smileography results, please follow the link by clicking HERE.